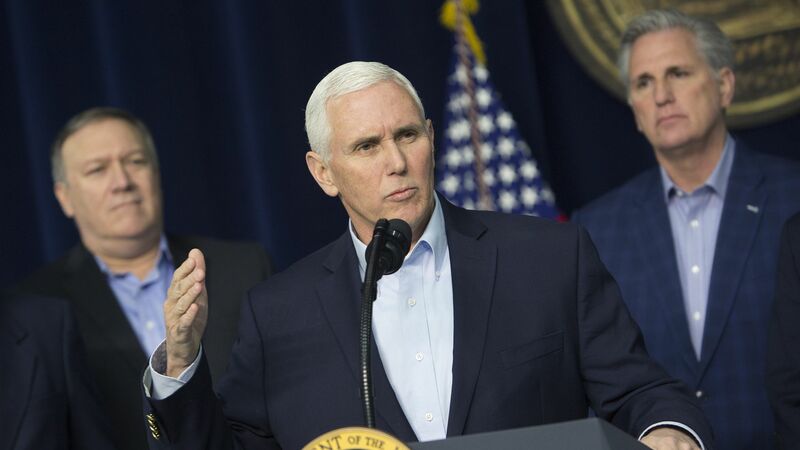 Pence to headline upcoming fundraiser at Trump Hotel in D.C.
Vice President Pence will headline the Great America Committee fundraiser tomorrow at Trump Hotel in D.C., according to a source with direct knowledge. Pence will be introduced by Donald Trump Junior and they expect to raise roughly $500,000. Why it matters: The source described it as the "unofficial kick-off" of Pence's political action committee's 2018 plan. The group will be helping candidates who are or will be promoting President Trump's agenda. "It's an all day summit...in attendance will be long time supporters of VPOTUS, including...CEOs from various industries."